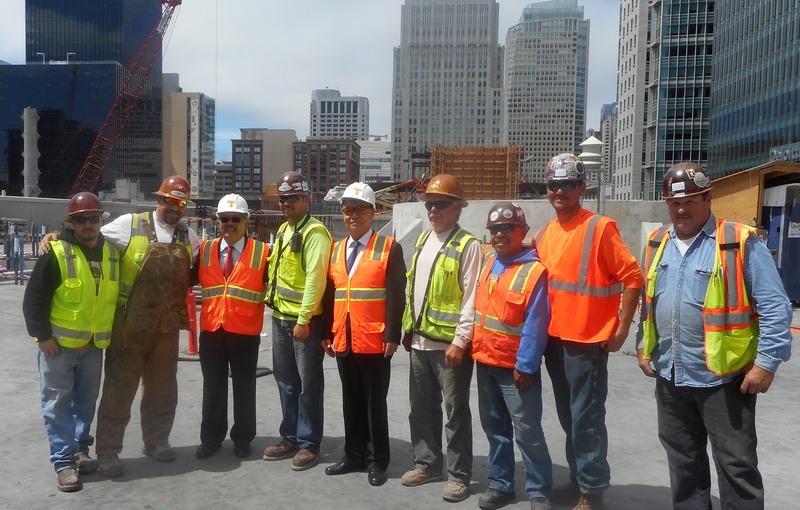 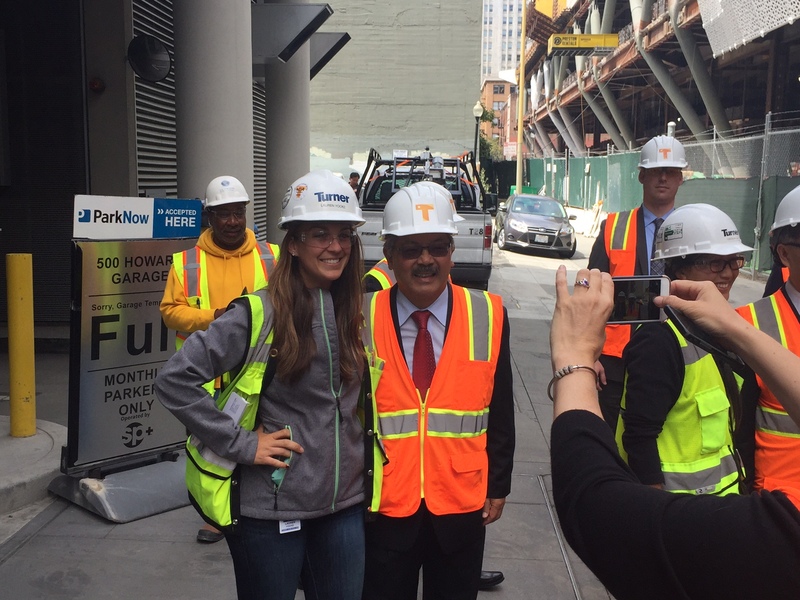 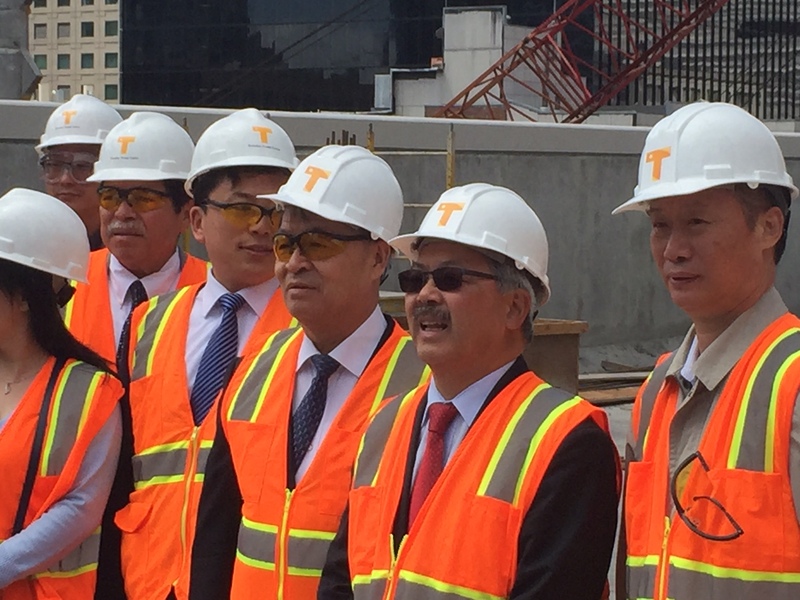 On June 7, 2016 San Francisco Mayor Ed Lee toured the Transbay construction site with members of a delegation of Chinese officials and business leaders. 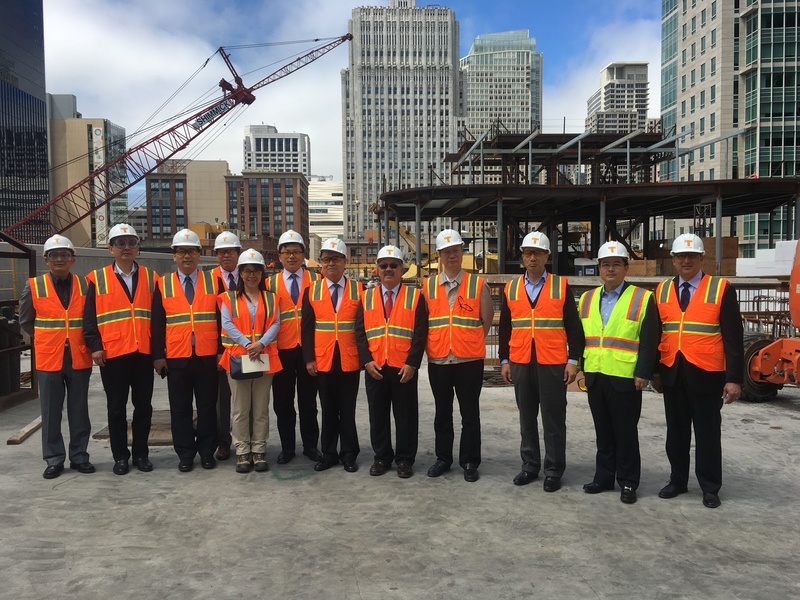 The delegation was led by Chinese Minister of Transport Yang Chuantang. 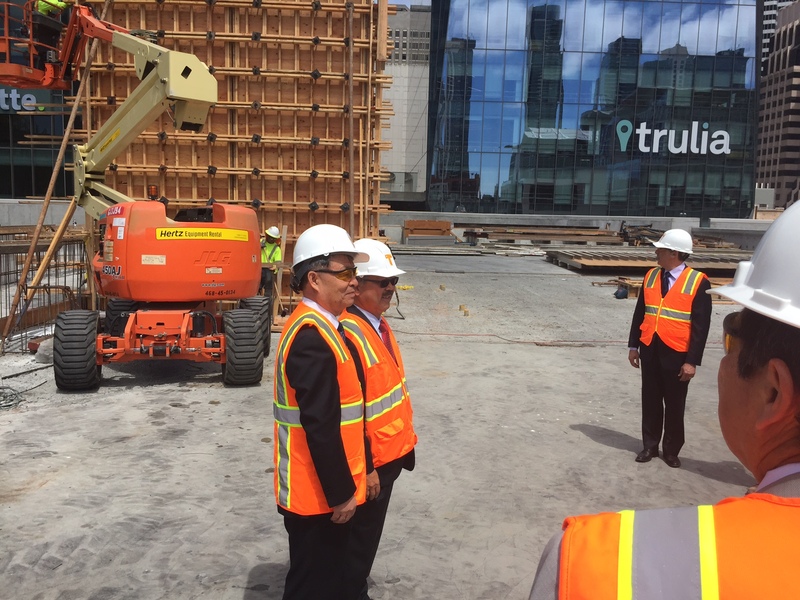 The images in this gallery show the delegation meeting with members of our construction crew and touring the Transit Center’s future rooftop park.